BJP was reacting to Rahul’s attack at the Bihar rally in which he said Modi is “pro-rich”. BJP reacted sharply to Congress vice-president Rahul Gandhi’s attack on Prime Minister Narendra Modi at a rally in Bihar, saying that Rahul was treated by his party and its allies as a “baby” and that no one took him seriously. “He is a baby of Congress. People do not take him seriously. Even Congress does not and that’s the reason the party was not ready to anoint him as its President,” BJP secretary Shrikant Sharma said. 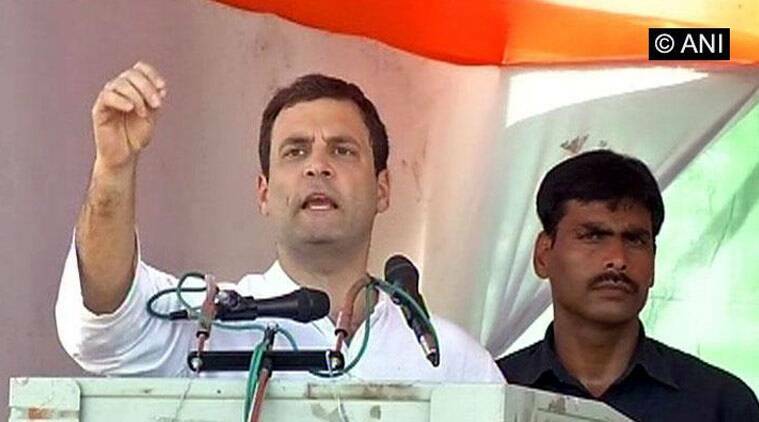 He was reacting to Rahul’s attack at the Bihar rally in which he said Modi is “pro-rich”. “His allies like JD(U) and RJD too do not take him seriously. RJD chief Lalu Prasad sent his ‘baby’ Tejaswi Yadav to attend the rally,” Sharma said. Launching the Congress campaign in Bihar, Rahul raked up the ‘suit boot ki sarkar’ jibe to target the Modi government, warning people that they would lose their land and livelihood if the NDA came to power in the state.